Ronald McDonald House Charity (RMHC) is an independent charity which aims to provide free ‘home away from home’ accommodation at hospitals across the UK enabling families to stay close to their child and maintain a degree of normal family life. The new Southampton Ronald McDonald House houses 53 bedrooms to support families with children being treated at Southampton Children’s Hospital and Princess Anne Hospital. As well as the 53 en-suite bedrooms, the House has communal living facilities including kitchens, lounges, playrooms and a laundry room. This enables families to stay close to their child and maintain a degree of normal family life. 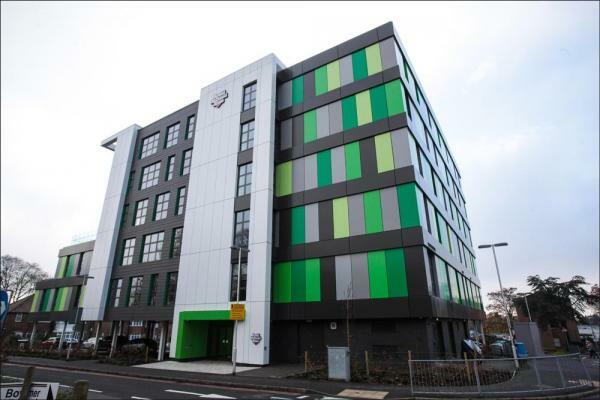 We were awarded the subcontract for the supply and installation of a Sika Liquid Plastics Ltd designed built up warm roof system to the main roof and inverted roof system to terraces at 3rd floor of the new building. 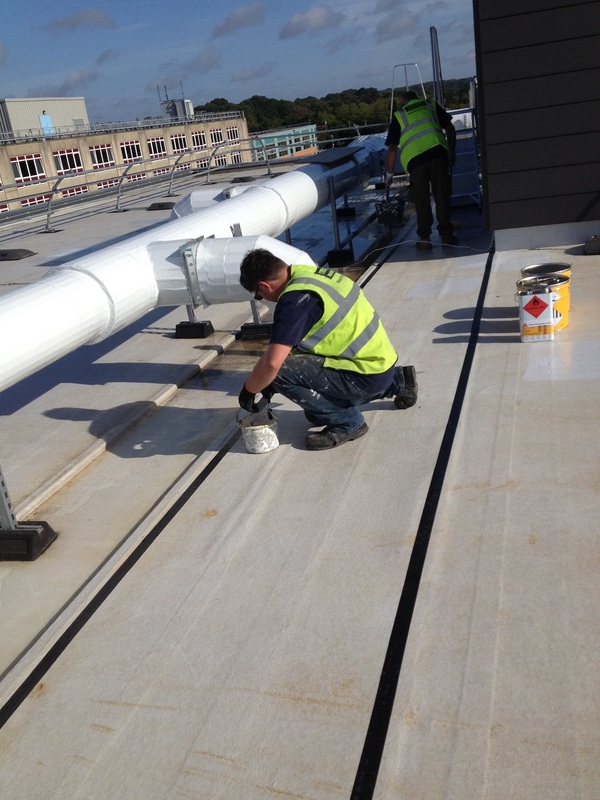 Over 650m² of the Warm Roof System was installed which consisted of a vapour control layer bonded to the metal decking followed by the installation of cut to falls Decotherm Insulation. This was then followed by a carrier membrane and then finally cold liquid applied Decothane membranes reinforced with Reemat fibre glass matting. Up to 150m² of the Inverted System was installed which consisted of Reemat reinforced Root Resistant Decothane applied directly to the concrete terrace slab followed by Eco Inverted Roof Board and a filtration layer in preparation for the terrace landscaping contractor. As we are a Sika Liquid Plastics QA Approved Contractor, the project was regularly monitored by one of their field technicians throughout issuing inspection reports, providing confidence to the client that the works are being carried out in accordance with their specification and finally issuing appropriate guarantees.